VFR is the costliest sports motorcycle in the Indian portfolio of Honda Motors Ltd., and is one of the rarest bikes you will ever encounter on the country’s roads. As a matter of fact, the Japanese manufacturer markets it as a sports touring motorcycle, owing to its comfortable ride quality and mile munching engine characteristics. The company engineers have further loaded it with advanced technical equipments in order to justify the exorbitant price it is offered at. 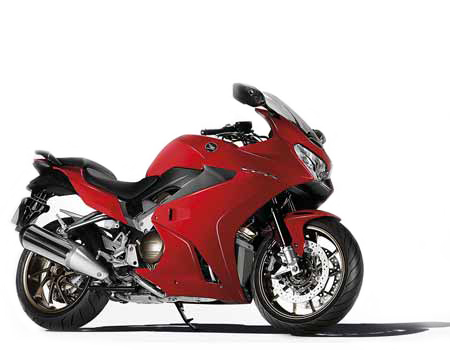 It is sold in the VFR1200F iteration in the Indian market. Despite being a relatively heavier motorcycle, which tips the scales at 267 kg, the rider will never complain about lack of power at any point in the rev range. The engineers have further tweaked the gasoline mill to extract a linear power delivery across a wide range of rpm, that aids its touring capabilities.